I unfortunately had a 4 day migraine this week which basically turned my brain into mush and I didn’t retain much of anything…including what I did this week. I know I went shopping at some point, mostly because I have the stuff and not because I actually remember doing any of it. I do remember getting vertigo and having light auras for a few days, and cleaning my back room at the store. But that’s it. So maybe it was a good week? I’m just glad it’s over. Hopefully it’ll be a little while before I get another one this bad. Illustrated version of Sorcerer’s Stone – I used my gift card from my birthday to preorder this! It’s been a long wait, but it was so worth it. 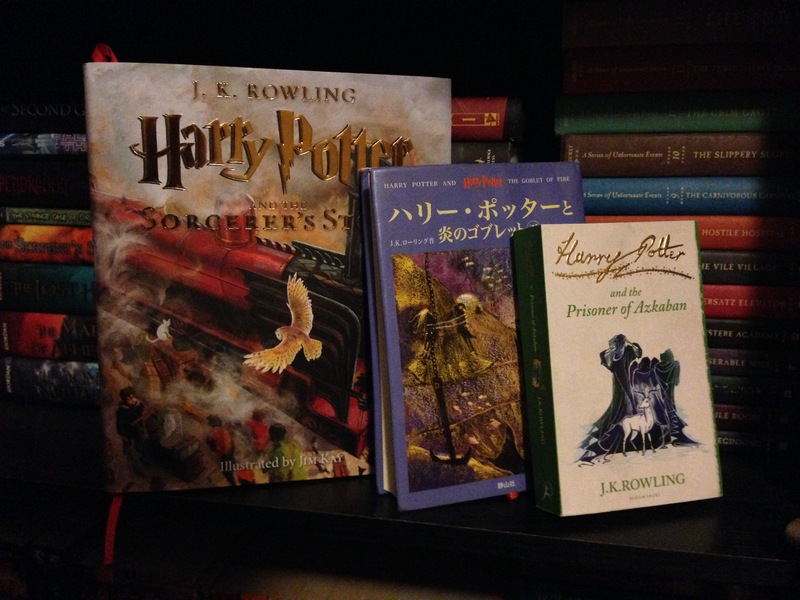 Second volume of Goblet of Fire in Japanese – I ordered what I thought was a full 2 book set edition of the Goblet of Fire earlier this year, and only received the first book. I took a gamble and tried again, and I got the second one! So now I have both halves of the story. Mass Market Signature edition of Prisoner of Azkaban – I didn’t even know the Signature editions came in mass market sized…I thought I was ordering the full paperback size to match my others. It’s still gorgeous, but I’m sort of disappointed that I accidentally started another set without finishing out one of my others first. Holy crap, Michelle, that’s kind of scary. I’ve had headaches, but nothing like that. Definitely hope you don’t get another one EVER. Hope you have a better week. Sorry to hear about the migraine. I had vertigo once and it was so bad I had to basically sleep, everything was spinning around. Hope this week is better. 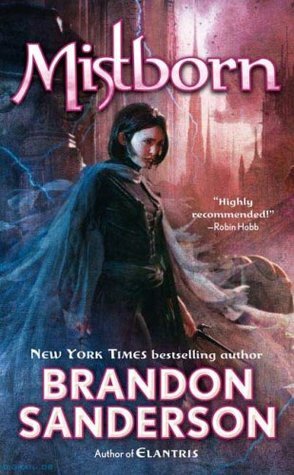 Good luck with the readathon! Vertigo is awful, it’s like everything sudden shifts on you. I was in the middle of cleaning when it hit the first time. I ordered the Illustrated version of Sorcerer’s Stone with birthday money and cannot wait for it to get here…Squee. Ooo I feel you on the headache..I had one last Sunday and couldn’t even look at the computer. I layed in the dark and listened to books. It’s so awful, I’m usually quite use to migraines but this one was really bad. Migraines are the worst, I start to panic now when I feel one coming on as I know they will wipe at least 2 days out of my life. All I can do is lie down with a head pressed into the pillow and wait for it to go. The Illustrated version of Sorcerer’s Stone sounds fab! Sorry you’ve been unwell. I’ve had the flu again and EVERYTHING seems revolting when you’re not feeling well. I hope the migraine’s finally subsided. Sorry to hear about your migraine I hope it’s eased up now 🙂 Yay for the illustrated version of Harry potter mine arrived this week too. I love it. Have a great week. I hate migraines, mine usually last a day and that’s already way too long. I can’t imagine how horrible a 4 day long one must be! I hope you’l feel a bit better now! That illustrated Harry Potter book sounds interesting! I hope you’ll enjoy your new books and have a great week! I hope you feel better! That’s really unfortunate. Still seems like you managed to get a lot done on the blog though! Crap, I hope you are feeling better, migraines are a horrible thing. Your Harry Potter books look amazing, you must have quite the collection!! 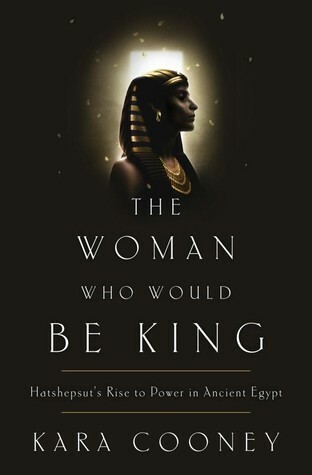 I’ve been wanting to read The Woman Who Would Be King! Can’t wait to see your review.